Over the past couple of years I have worked on my Doctor of Ministry thesis-project on the impact of Dietrich Bonhoeffer on the twenty-first century preaching and preachers. I can see much more light at the end of the tunnel now! During this process, I have discovered that even those who have a limited understanding of Bonhoeffer usually know that he is the author of classic Christian book called Life Together. As you can see in the links above this is the second impact that Bonhoeffer can have on twenty-first century preaching. If you are new to the site, then I welcome you to explore it. And if you have the time, please make any comments. There is also an “Evaluation Form” link at the top of the page. In the coming days, we revisit Bonhoeffer’s understanding of Christian community. Greetings! Thank you for taking the time to check this blog site out. 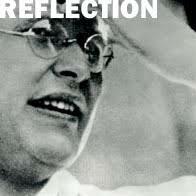 If you are a regular reader, then you probably know by now that I post reminders about the purpose of this blog about Dietrich Bonhoeffer. In Dietrich Bonhoeffer‘s book, Meditating on the Word, he points out that we should meditate on God’s Word in the morning before we begin our work (34). How long then should we meditate? A half hour is the minimum amount of time which a proper meditation requires. It is, of course, necessary that there be complete quiet, and that we intend to allow nothing to divert us, no matter how important it may seem (34). We dare not allow ourselves to cease from this daily engagement with the Scripture… (35). What Scripture Text Should We Meditate on? What text, and how long should the text be? It has proven helpful to meditate on a text of approximately ten to fifteen verses for a period of a week. It is not good to meditate on a different text each day, since we are not always equally receptive, and the texts for the most part are much too long for that. Whatever you do, do not take the sermon text for next Sunday. That belongs in your sermon meditation time (Dietrich Bonhoeffer, Meditating on the Word, 34). I am glad Bonhoeffer made that distinction even though it means for us preachers, that our time in scripture meditation is two-fold. We need the meditate on the scriptures for spiritual nourishment and we need to meditate on the Sunday’s text for the understanding and application of God’s Word for His people. My next post will look at the time of time we should meditate according to Bonhoeffer. …In the same way that the word of a person who is dear to me follows me throughout the day, so the Word of Scripture should resonate and work within me ceaselessly. Just as you would not dissect and analyze the word spoken by someone dear to you, but would accept it just as it was said, so you should accept the Word of Scripture and ponder it in your heart as Mary did. That is all. That is meditation. Do not look for new thoughts and interconnections in the text as you would in a sermon! Do not ask how you should tell it to others, but ask what it tells you! Then ponder this word in your heart at length, until it is entirely within you and has taken possession of you. …We begin our meditations with pray for the Holy Spirit, asking for proper concentration for ourselves and for all who we know are also meditating. Then we turn to the text. At the close of the meditation we want to truly able to say a prayer of thanksgiving from a heart that is full (33-34). My next post will focus on the actual text we are to meditate on. Until then, may we continue to fill our hearts with God’s Word. What do I want from my meditation? We want in any case to rise up from our meditation in a different state from when we sat down. We want to meet Christ in his Word. We turn to the text in our desire to hear what it is he wants yo give us and teach us through his Word. Meet him first in the day, before you meet other people. Every morning lay upon him everything that preoccupies you and weighs you down, before new burdens are laid upon you. Ask yourself what still hinders you from following him completely and let him take charge of that, before new hindrances are placed in your way. His fellowship, his help, his guidance for the through his Word—that is the goal. Thus you will begin freshly strengthened in your faith (32). Again, we don’t meditate simply for the sake of meditating. Rather, we do so in order to become more and more intimate with our Savior, Jesus. Because I need help against the ungodly haste and unrest which threaten my work as a pastor. Only from the peace of God’s Word can there flow the proper, devoted service of each day (Dietrich Bonhoeffer, Meditating on the Word, 31-32). A pastor’s day (and any Christian’s day) is often filled with threats that want to disrupt his focus and intimacy with the Lord Jesus. If Bonhoeffer is correct, then the solution is quiet reflection and the pondering of God’s Word. Because I need a firm discipline of prayer. we like to pray according to our moods–briefly, at length, or not at all. But that is to be arbitrary. Prayer is not a free-will offering to God; it is obligatory service, something which he requires. We are not free to engage in it according to our own wishes. Prayer is the first divine service in the day. God requires that we take time for this service. “Early in the morning I cry out to you, for in your word is my trust. My eyes are open in the night watches, that I may meditate upon your promises” (Psalm 119:147-8). “Seven times a day do I praise you, because of your righteous judgments” (Psalm 119:164). God needed time before he came to us in Christ for our salvation. 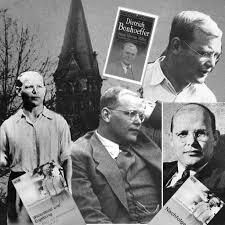 He needs time before he comes into my heart for my salvation (Dietrich Bonhoeffer, Meditating on the Word, 31). Again, there is a strong connection between scripture meditation and prayer. We twenty-first century followers of Jesus will probably agree that prayer is important. Yet, would we also agree that the regular practice of meditating on God’s Word is just as vital? If the Word has become empty for me in my daily administrations, if I no longer experience it, that proved I have not let the Word speak personally to me for a long time. I will offend against my calling if I do not seek each day in prayer the word that my Lord wants me to say for that day. Ministers of the Word are especially called upon to perform the office of prayer: “But we will devote oursleves to prayer and the ministry of the word” (Acts 6:4). The Pastor must pray than others, and has more to pray about (Dietrich Bonhoeffer, Meditating on the Word, 31). These words speak to all Christians, but especially to preachers. Because I am a Christian. Therefore, every day in which I do not penetrate more deeply into the knowledge of God’s Word in Holy Scripture is a lost day for me. I can only move forward with certainty upon the firm ground of the Word of God. And, as a Christian, I learn to know the Holy Scripture in no other way than by hearing the Word preached and by prayerful meditation (Dietrich Bonhoeffer, Meditating on the Word, 30). Yes, he was a theologian, Christian leader and a pastor. Yet, the primary reason Bonhoeffer meditated on God’s Word was because he was a follower of Jesus Christ. The application is simply: Our delight is to be in the law of the Lord, and on that law, we meditate day and night (Psalm 1.2).